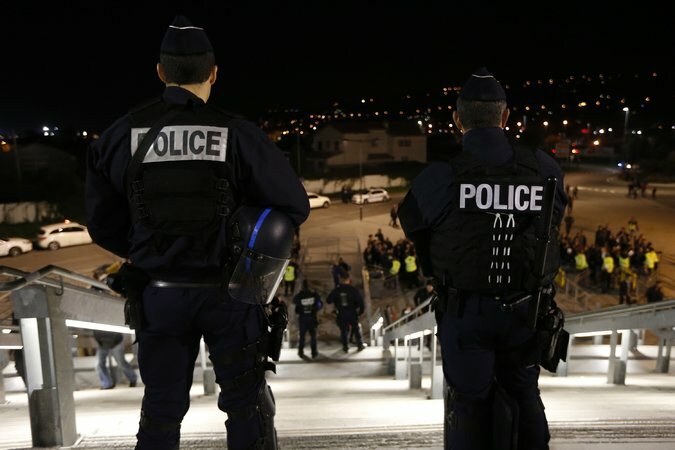 Police officers outside a Ligue 1 soccer match in Nice, France, on Nov. 20, a week after the attacks in Paris. Security will be a concern when France hosts the European Championship next June and July. LONDON — Now, more than ever, sports need to be sure-footed in their dealings with governments. Soccer was among the targets of the terrorist attacks in Paris last month, and with the 24-team European Championships scheduled for next June and July in France and the 2018 World Cup set for Russia, security for those events will inevitably involve those countries’ armed forces. Just as clear, however, is that soccer has never been more exposed or more leaderless. Sepp Blatter, the head of FIFA, and Michel Platini, the leader of UEFA, the European governing body, are suspended from office and face possible life bans from the sport.